FOLKLORE: The most cinematic moment in his 15-year reign as boss of bosses was a kiss that never happened. 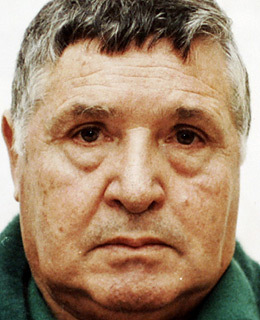 A turncoat witness testified that Riina had greeted the former Italian Prime Minister Giulio Andreotti with a "kiss of honor" at a meeting in the early 1980s to discuss the outcomes of a major Mafia trial. UGLY TRUTH: While commanding Cosa Nostra from the mid 1970s to early 1990s, Riina waged a bloody war on both internal rivals, and the Italian state. He also made sure to nurture important political connections in Sicily, though Andreotti is unlikely to have been one of them. The former prime minister has spent years in and out of court battling charges of Mafia links, connections he has consistently denied.